You will find copies of Red Ochre newsletters here. There are mentions of training, case studies and funding opportunities you might find useful. Red Ochre news and resources March 2019 Red Ochre client news, funding, articles and training. November 2018 – News funding and resources Funding competitions, clients news and some interesting articles and resources. Funding news and training for June 2018 containing upcoming funding deadlines, legal checklists, articles and training for early summer. News articles and training for April 2018 newsletter with coverage for April and May 2018. News training and support for December and January. Interesting articles for the end of 2017 and beginning of 2018. Also news on free support and training for the sector, and upcoming Red Ochre training sessions. News jobs and training for November. Jobs, sector news, what we’ve been up to and free and paid upcoming training and support. October News Funding and Training. Funding, support and sector news for the beginning of autumn. August and summer’s almost over. August 2017 newsletter with information on funding and support, interesting articles on GDPR, the gender pay gap and IR35 self-assessment tools from HMRC. News training and resources – July 2017. Training, resources and updates from Red Ochre and our clients for July 2017. News resources and training from Red Ochre, May 2017 articles and resources, training and news. February news support and articles, February 2017 funding news, free training and rent free space. Training news and funding for 2017 and 2016, a year in review for Red Ochre. news-training-and-support includes news and articles from November and up-coming trainngi and support for December 2016.
september-news-training-and-funding. Funding news, articles, product launches and trainnig, September 2016. Red Ochre News Events and Training July 2016 Sector and funding news, client news, our overseas work and upcoming training. Funding news training and resources March 2016. News articles and training from Red Ochre. January 2016 news, client news and up coming training. December 2015 Funding articles and training. A recap of the year and some details of training, support and contract opportunities for 2016. November 2015 Funding articles and training. Catchup with free training, funding and interesting articles and infographics. You can also read about our overseas adventures in 2015. News Training and Resources from Red Ochre. In our October newsletter hear about our work in Vietnam and China, our new Tours and Visit Programme and catchup with recent funding news. News Training and Articles from Red Ochre. Our August newsletter covers the launch of our Teach Seville! programme, free training, and the usual mix of interesting sector and funding news. July 2015 Red Ochre newsletter with numerous interesting articles, sector news and free training. May 2015 Red Ochre News, crowdfunding, free training and client news. News training and resources from Red Ochre, October 2014, newsletter with resources, client news and upcoming training. News and resources from Red Ochre, July 2014, including sector, client and Red Ochre news, and training. Late May 2014, including Growth Voucher Scheme, training and support programmes. 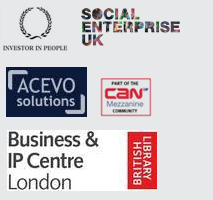 May 2014, funding and support for food start-ups, innovative SMEs and early stage social enterprises.